For nine-year-old Beth Lowe, it should have been a magical summer--sun-kissed days lounging in rickety deck chairs, nights gathered around the fire. But what begins as an innocent vacation to Hungary ends with the devastating separation of her parents. Beth and her father return home alone, leaving her mother, Marika, behind. Now, years later, Beth receives a package containing a scrapbook, a haunting record of a time long forgotten. Suddenly, she is swept back to the world she left behind, forced to confront the betrayal that destroyed her--and to search her heart for forgiveness. Emylia Hall\u2019s short fiction has appeared in a number of publications, and she was dubbed by Elle magazine (UK) as one of 2012\u2019s three most anticipated debut novelists. She lives in the UK with her husband, who is also an author. 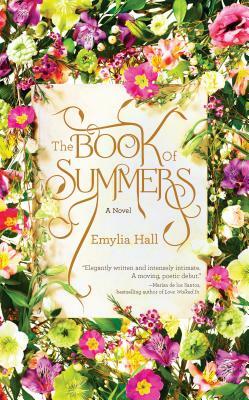 The Book of Summers is Emylia\u2019s first novel and is inspired by her childhood memories of vacations spent in rural Hungary. "In her thoroughly enchanting debut, Hall casts a spell with this coming-of-age tale that feels... ‘ like magic caught and held.'" "A poignant tale of a daughter strung between two parents and of the kind of silence and secrets that destroy families." "Hall's lovely and haunting debut...will entrance readers." "An addictive read and an amazing debut." "Fantastically evocative and sun-drenched with a twist."